Mahindra has displayed the SsangYong G4 Rexton at the Auto Expo 2018 with Mahindra badging. 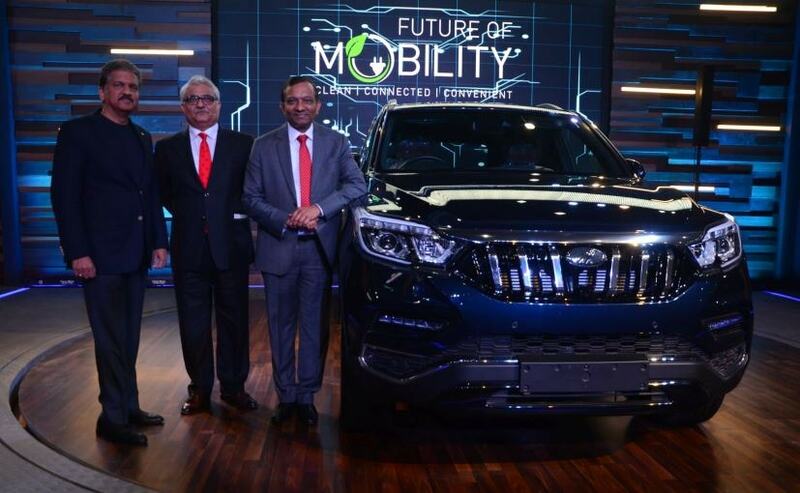 Mahindra has confirmed that the SUV will be launched in India, albeit with a new brand name, which the carmaker hasn't revealed yet. 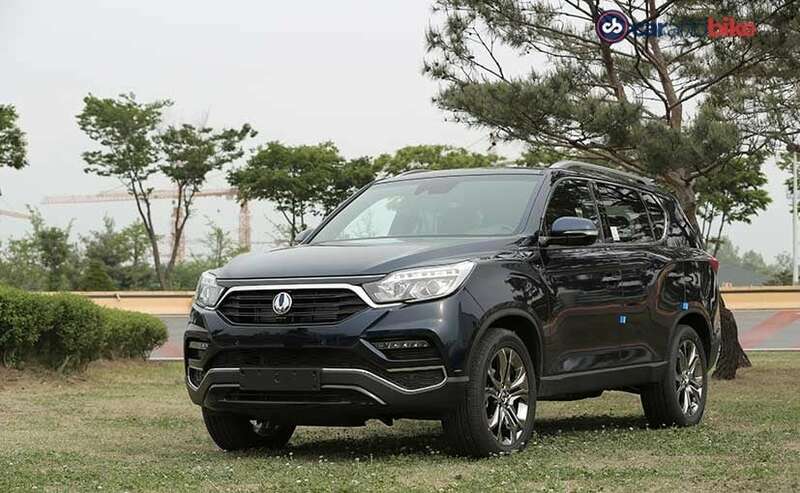 Upon launch it will rival the likes of Toyota Fortuner, Ford Endeavour, and Isuzu MU-X. Mahindra and Mahindra today showcased the new-generation SsangYong G4 Rexton in India at the ongoing Auto Expo 2018. 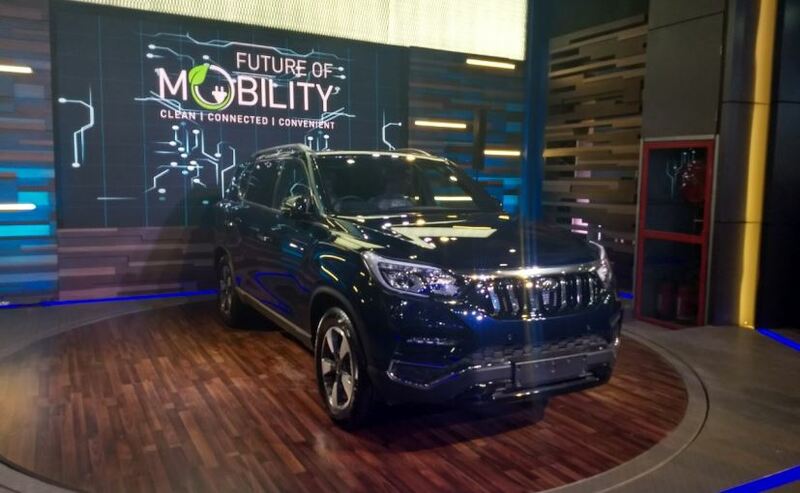 As we had mentioned in our earlier reports, the SUV was showcased with Mahindra badging, confirming that the SUV will be launched in India with an all-new name. While the home-grown automaker hasn't confirmed this yet, but we expect this new Mahindra badged Rexton to be launched in India by the end of the 2018-19 fiscal year. Upon launch, it will take the flagship spot in Mahindra SUV line-up and will represent Mahindra in the full-size SUV space rivalling the likes of Toyota Fortuner, Ford Endeavour, and Isuzu MU-X. Globally, SsangYong's G4 Rexton has been widely appreciated for its style, quality, safety and technology. Mahindra says that the G4 Rexton SUV is a perfect blend of striking design, plush interiors and superior build quality. The SUV offers a host of premium and high-quality equipment and features along with providing superior driving experience coupled with off-road capability. In fact, we have already driven the SUV and shared our driving experience last year, in May 2017. We drove the G4 Rexton powered by 2.2-litre turbo-diesel engine, and it is the same powertrain that will be offered in the India-spec model. The engine churns out about 178 bhp and develops 420 Nm of peak torque. The engine will come mated to a 7-speed automatic transmission. Globally, SsangYong also offers a 2-litre petrol engine that makes around 222 bhp, but we won't be getting that engine in India. The SUV will boast an array of premium features like HID headlamps, LED DRLs, electric sunroof, dual-zone automatic climate control, ventilated seats, 8-inch touchscreen infotainment system with GPS and navigation. The model showcased at the Auto Expo 2018 came with a new chrome grille, different alloys and some other minor tweaks. On the safety front, the SUV comes with 9 airbags, electric parking brake and much more. The Rexton's cabin also employs top-class quality interior with soft-touch plastics and premium cognac brown leather used all around the cabin.